Dr. Limoncelli sets out to design a summer filmmakers workshop for high school students. She constructs the curriculum with the idea that learning to make their own visual stories will help students with their critical and creative thinking skills as well as creating a process that would help them to develop a more positive self-image. This study tells the story of a filmmakers workshop, focusing on four of the students who took part in the class, from the point of view of their teacher/researcher who follows them on their journey. 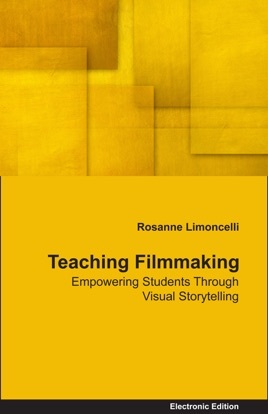 This study has all the details of a "how to" guide for English or Language Arts teachers who want to support the filmmaking endeavors of their students. The students in this story learn to analyze films and then engage in discussions about character, narrative structure, and how themes are developed. They brainstorm story ideas using writing exercises and then develop their own ideas for film. They learn how tell their own story using techniques of narrative imagery. To read this journal-based study is to experience the thoughts, hopes, and struggles of the students and the teacher as they share the process of teaching and learning.